It's round, made of bamboo and biodegradable plastic, inspired by a toy, and is a mine detonating device. This is biomimicry at its best designed by an Afghan refugee. At 70 kilograms (154 lbs), it activates mines as it rolls along the desert sand or grass. To date, there is an estimated 110 million mines scattered across 70 countries. Mine Kafon is designed using a basic GPS device and experts are seeing this as a common removal method. At only a cost of $40, I can see future races on the horizon. Can you believe that 20% of energy consumption in the US is used by commercial buildings? To date, our Senators are working to pass a 'more efficient' Energy Policy Act (Public Law 109-58) that would extend and strengthen our commercial tax deductions. More simply, these proactive thinkers and healthy debates evolve around the recognition and need for making improvements to energy infrastructure. So what is fair game? Lighting, windows, HVAC, building materials. YES - all of the above. The dilemma is what percentage, and at what square footage? Currently, the bill states up to $1.80 in tax deductions per square footage for retrofits and new construction. The new bill is between $1.00 to $4.00 pending performance upgrades and improvements. The bottom line is this is great news for manufacturers and good news for Americans trying to get back to work. The USGBC and NRDC estimates an additional 77,000 construction and services jobs will be created if the energy act is revised. Every little bit counts. Rick Fedrizzi is at it again with his energy and engagement talks. I saw him in Washington, D.C. and his team of forward-thinkers were back in Toronto, Ontario. We all have goals. Some are S.M.A.R.T. while others are just aspirational. But when you have the support of the government, aggressive investors, then the momentum continues for General Motors. Their recent announcement involves a bold target of 500,000 electric vehicles (EVs) sold by 2017. Two of the biggest barriers associated with EV technology is not the infrastructure, but generally psychological range anxiety and public charging costs. 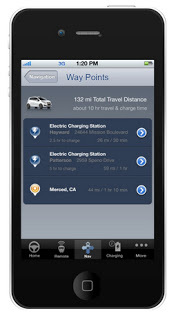 The solution behind that is one app called WayPoint designed for the GM Spark EV - set to launch in 2013. This is by no means a California zero emissions manate (aka compliance vehicle). Owners can buy them outright, and the app is designed to assist drivers plot a route and locate public charging stations along the way. Another app in the works is Park-Tap-Charge (PTC). This app shows drivers the estimated hourly cost for charging (full and half times for level 1 or level 2 outlets), and can be conveniently handled through PayPal. In my opinion with Onstar and other perks programs, I can foresee badger/point/accolade programs on the horizon whereby Volt drivers compete for MPG goals. Not a bad goal to have for our future economy. My apologies for not writing earlier. I took a bit of a sabbatical from this blog. It was for good reason, too, given that I recently departed from working for an energy company. A brilliant, complex organization where I gained an enormous amount of knowledge on the energy industry. I was protecting them, this blog, and my opinions. I'm sure you have a few questions and I have answers for you. 1) Yes, I am no longer a pure vegetarian. I never was 100% of the time and stayed away from chicken and red meat. That is still the case today as I continue to eat fish, turkey (Thanksgiving was great), lots of lentils, but limited dairy and definitely no cow, deer, or other fleshy being. 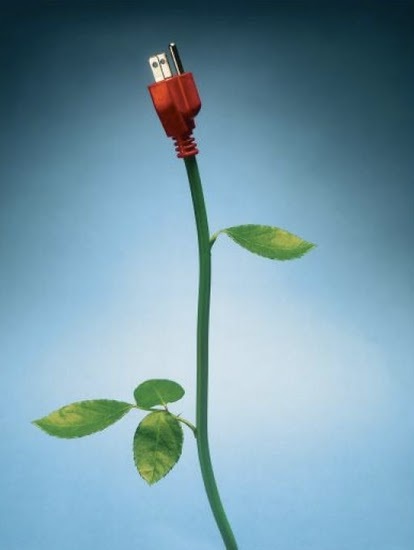 2) There is hope for the grid. Fracking will continue. Shale gas is extremely plentiful and regulations will become stronger, better and more enforced. More importantly, expect power plants to be extremely scrutinized with a push to convert or switch from coal to natural gas for a cleaner, cheaper burn. 4) Why now? Resurrection seemed appropriate given the time of year, time of my career and the exciting time of technology. New platforms on the horizon, but this time a solid break through for many industries (3D printing, healthcare, solar, education, private rockets, etc). Crowd sourcing and crowd funding is massive. Why not have that trend expand to heroes helping us to advance in our green economy?